Winter is coming, and that means it’s time to get out in the snow and explore Canada’s winter wonderland by enjoying seasonal festivals, holiday activities and various winter sports! Whether you’re setting out on a snowy getaway to channel your inner sports-extremist or tackling your favourite annual winter activity, choosing the right travel insurance policy that provides the best coverage should be at the top of your list. Read on to find out which plan best suits your trip so you can make the most out of your winter! Winter vacations filled with adventure sports can be a ton of fun, but sometimes, those adventures can go awry. Be prepared by having proper travel insurance suited to your winter activities of choice. Start with a solid Emergency Medical plan and add an Optional Sports Coverage plan if you’re partaking in more adventurous sports. Make sure your travel insurance covers all your adventures this winter! Be aware that if you’re travelling out-of-province, your provincial health plan won’t cover extra fees, such as the return of your vehicle, prescriptions, home/private nursing, medical equipment rentals or flying family members to your bedside. When looking for a plan with the best coverage, make sure it covers doctor’s visits, x-rays, hospitalization and emergency air transportation, among other features. Are you a ski or snowboard lover? Maybe you’re trying snowmobiling for the first time, or exploring new terrain by snowshoe. Whatever your next winter adventure may be, TuGo has a travel insurance plan fit for your next holiday. Our basic Emergency Medical plan covers many recreational activities like downhill skiing, snowshoeing, snowboarding, snowmobiling and dog-sledding, just to name a few. Dog, snow and adventure lover? 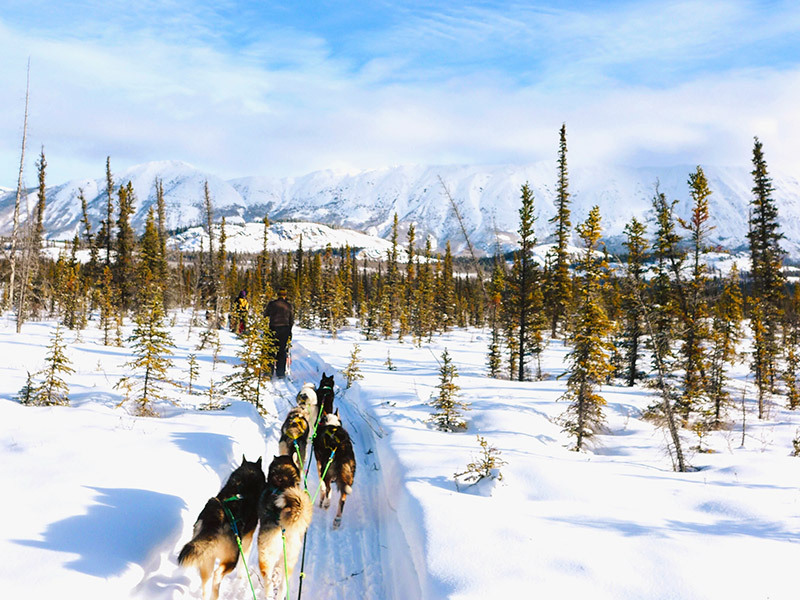 Try dog-sledding in Whitehorse, Yukon for an experience you’ll never forget! Grab your snow pants, bring your loved ones, and explore Canada’s best ski resorts knowing you’re covered in the event of any accidents or medical emergencies. Are you an adventurer at heart? For all the thrill-seekers out there, TuGo’s Optional Sports Coverages could be just what you’re looking for. Whether you’re ice climbing, mountaineering, bobsledding or backcountry skiing or snowboarding, our Adventure Sports Coverage and Extreme Sports Coverage will have you covered during all of your escapades this winter! Thinking of entering a winter sports contest this season? You’re in luck – TuGo also covers travellers competing in contests! If you’re participating in a Motorized Speed Contest for snowmobiling or an X Games contest for snowboarding, TuGo will cover you in case of an accident or medical emergency under the Adventure or Extreme Sports Coverage. Which Plan Covers Which Sport? To remember which plan you need for your favourite snow sport, use the chart below to find out which optional coverage plan is suited to your next winter adventure! Tip: If you’re participating in adventure sports and extreme sports, you’ll need to buy both coverage options to be covered for those activities. For example, if you’re going mountaineering over 6,000m, but also want to try snow kiting, you’ll need to purchase an Emergency Medical plan with the Adventure Sports Option as well as the Extreme Sports Option. Don’t see your sport listed here? Chances are, it could be a summer sport, or it could be covered under our basic Emergency Medical plan. If you have any questions about the coverage of a particular sport, contact us or comment below to let us help you out! Trip Cancellation is a great idea if you’ve purchased any accommodation or transportation in advance. You never know what emergencies or weather issues can arise before you leave, so it’s best to be covered just in case. 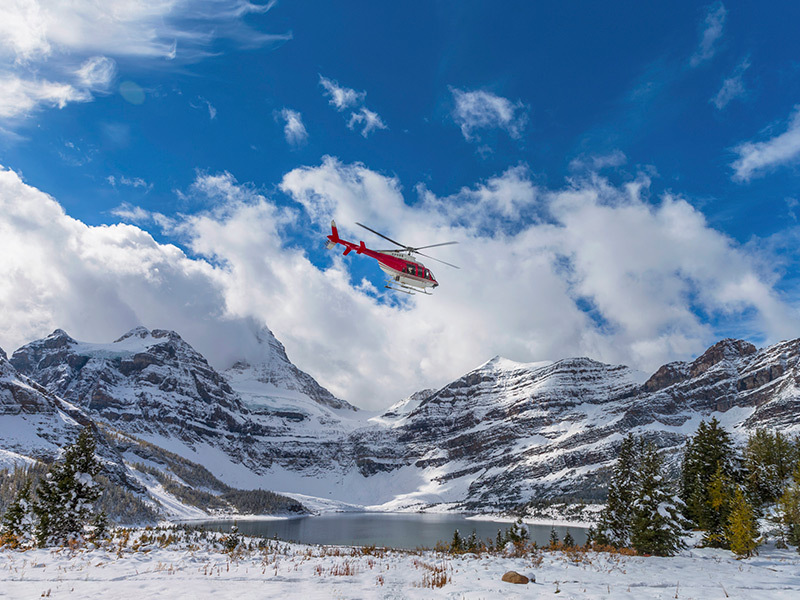 If you’re travelling to elevated areas or participating in a winter sport such as mountaineering, altitude sickness can also become a reality. Don’t forget that any degree of injury can happen on vacation, and it may be severe enough to send you home, so it’s important to be covered with Trip Interruption insurance as well! Venturing off-piste this winter? Climbing up to high snowy altitudes? It would be wise to think about a travel insurance policy that covers you in case of a high altitude injury that requires immediate medical attention. Don’t forget to look for helicopter ambulance coverage when buying travel insurance this winter. The Ambulance benefit in our Emergency Medical plan includes a helicopter ambulance to get you to the nearest medical facility. Our Medical Air Evacuation benefit arranges for transportation to your home country or to another facility for treatment, if required. Learn more about our Air Ambulance and Emergency Air Evacuation benefits to find out when you’re covered and when you need pre-approval. As hard as it is to think about, accidents do happen – some more severe than others. If you’re participating in any extreme sport, you may want to think about adding Accidental Death & Dismemberment insurance to your coverage. Whatever type of sports lover you are, there’s a plan for everyone. 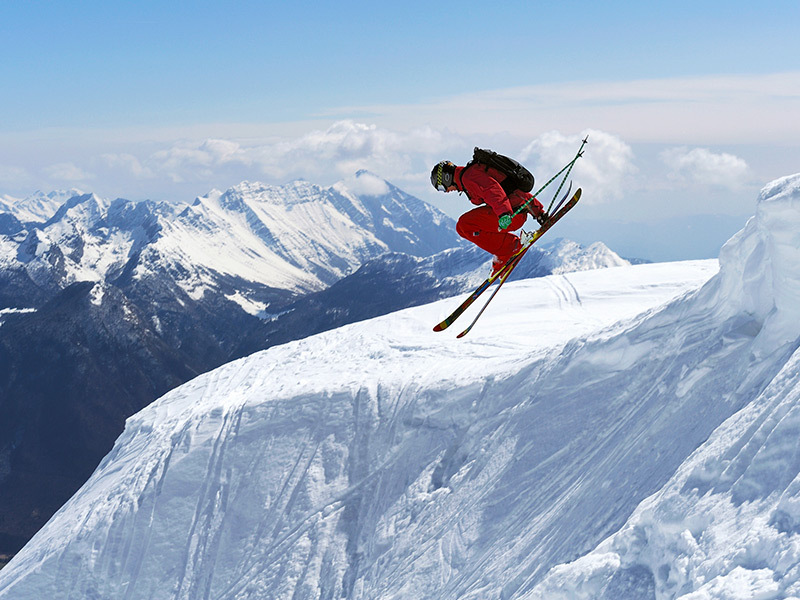 Do your research to make sure you get the right winter sports travel insurance policy, so you’re not stuck in a medical emergency with unwanted fees. If you cover your bases, you’ll have all the peace of mind you need to fully enjoy this holiday season. 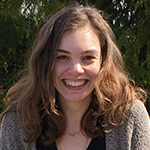 Votre texte m’est vraiment utile. J’ai besoin d’informations sur le sujet assurance medicale voyage ou prestation transport sanitaire. Mon entreprise me demande de choisir parmi deux assurances dont la prestation sont différentes. Nous sommes une compagnie d’assurance voyage canadienne donc pour les Canadiens voyageant à l’étranger ou les visiteurs au Canada. Je constate que votre entreprise se trouve en France. Dans quelle mesure pouvons-nous vous aider? Avec-vous l’intention de venir au Canada ou avez-vous des clients/patients canadiens?